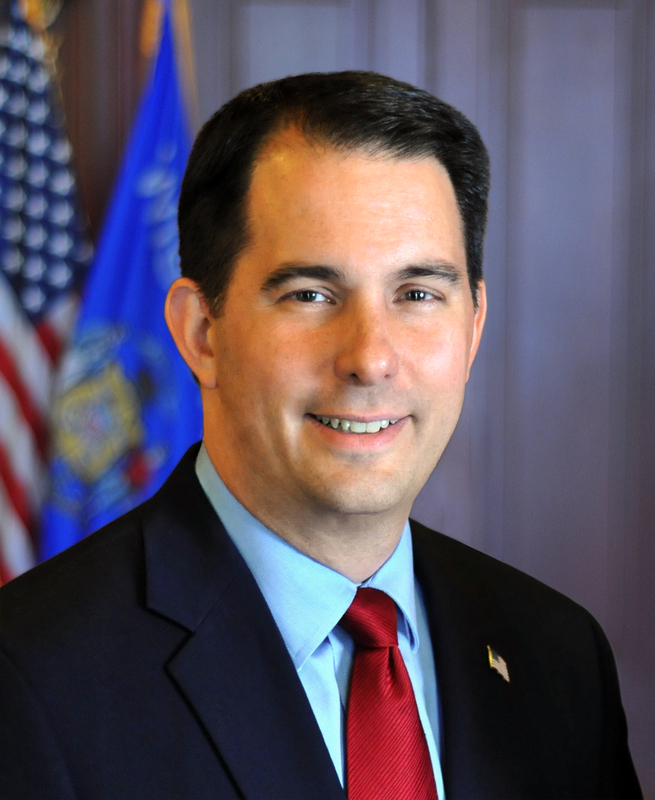 "Youth Apprenticeship is a key tool for improving educational and employment opportunities for students..."
MADISON – Governor Scott Walker visited schools in Kimberly and Eau Claire today to discuss the Youth Apprenticeship Program. The program, administered by the Wisconsin Department of Workforce Development (DWD), partners high school students with employers to provide hands-on job training and transferable skills to pursue more advanced career paths. Under the DWD’s Youth Apprenticeship program, funds are awarded to local consortiums that work with employers and high schools to pair students up with an employer. The participating students are enrolled in academic classes while they are employed and receive hands-on instruction from a mentor. The statewide YA program offers up to 11 career programs for students to pursue, including Agriculture, Food, and Natural Resources; Architecture and Construction; Art, Audio/Visual Technology, and Communications; Finance; Health Science; Hospitality, Lodging, and Tourism; Information Technology; Manufacturing; Science, Technology, Engineering and Mathematics; Transportation, Distribution, and Logistics; and Marketing. For more information about the Department of Workforce Development’s Youth Apprenticeship program, please visit http://dwd.wisconsin.gov/youthapprenticeship/.